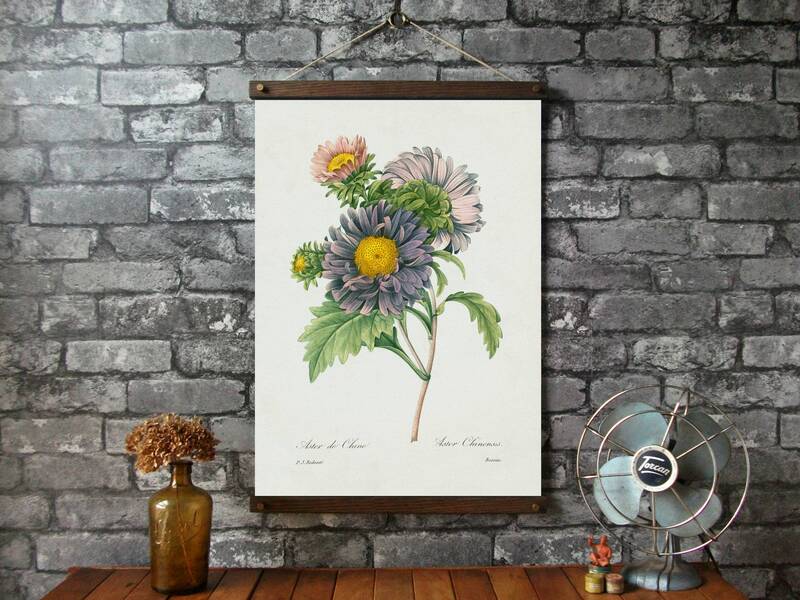 This print is of an engraving entitled Aster de Chine: Aster Chinensis, engraved by Joseph Marie Bessin (1765-?) after an original by Pierre-Joseph Redouté (1759-1840). From P. J. Redouté’s Choix des plus Belles Fleurs, published in Paris from 1827 to 1833. Plate 10.